As things become smarter and connected, their roles in people’s lives is changing. Things become closer and closer to us, eventually becoming other inhabitants of our homes. How will we understand objects’ needs and perspectives as we will live together with them? What is it like to be an object in a smart home? “Objective Realities” (OR) is a VR experience that changes the perspective from a human point of view to the one of an object. In OR you will be able to see and act in a virtual smart home with the capabilities and limitations of a specific object and listen to the invisible chatter that happens between networked things and the home. “Objective Realities” is designed to be a multi-player/object experience where people can switch to an object centric life and interact with each other in their object version of self in the same virtual home. After ‘wearing’ one of the objects, you will be sweeping the floors like a cleaning robot, blowing things around the house like a fan or moving from plug to plug across the electrical wires. Cleaning robots might get angry at Fans making a mess, Plugs can decide to switch on and off other objects to save energy and you can decide to follow or not the tips from the overlooking Smart Home voice. By taking the perspectives of the different objects people will experience and listen to three stories, three point of views of this fictional future home. The stories presented at FILE are the result of a collaboration between automato.farm and the Science-Fiction writer Bruce Sterling. automato.farm is a design and research collective based in Shanghai consisting of Simone Rebaudengo, Matthieu Cherubini, Saurabh Datta and Lorenzo Romagnoli. In their practice they explore the implication of automation and machine intelligence leaking in the everyday through real and fictional products. 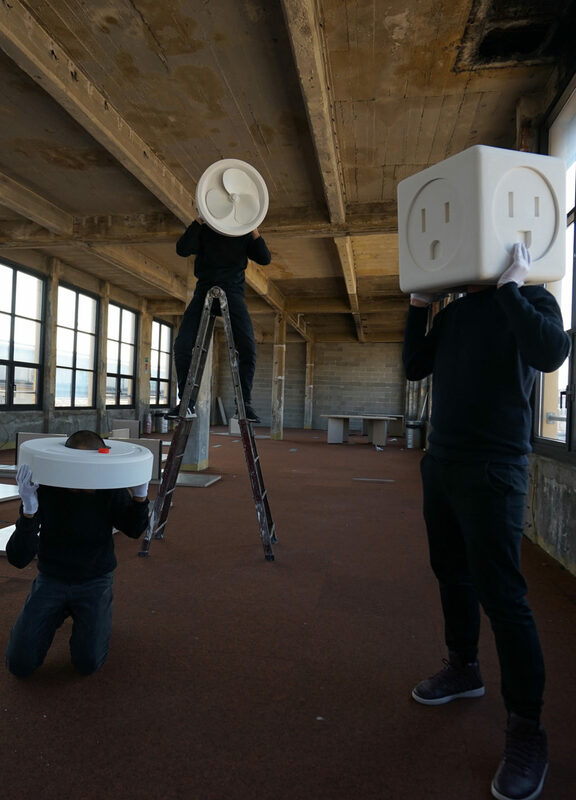 They started working together as a collective in 2015, combining their research interests in Ethics of Algorithms, Cybernetics, Connected Products and Human Robot interaction. They developed ethical algorithms for cars to deal with complicated decision making on the road, created future jobs that emerge as a bi-product of trainable machines, designed politically biased products, self-selling appliances addicted to their own use and more. Automato.farm uses design and technology as a way to dig deeper into algorithms and behaviors of machines, to look into complex black boxes and make them a bit more transparent.